FREDERICKSBERG, VIRGINIA — In an extremely unforeseen development, President George Washington’s personal cache of marijuana, presumed by historians to be lost for over 200 years, has been discovered underneath socks in a sock drawer in a home Washington spent much of his childhood in. 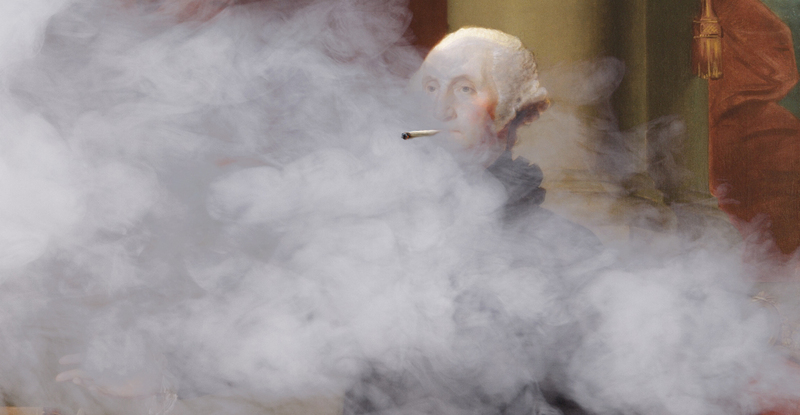 For many years, American history experts have theorized about Washington’s weed stash. Operating with the knowledge that Washington came from an agrarian upbringing and the fact that in his time there was no racially-based panic induced by government propaganda, historians and researchers have painstakingly dissected, combed, and poured over every square-inch of every residence Washington had that still stands. Some archaeologists have even opened dig sites in locations that Washington frequented, hoping to come upon his stash of Mary Jane. This week, Wifflestrom’s organization was once again back at a farm home in Virginia where America’s first president spent much of his childhood. While going through Washington’s teenage bedroom, one AAHT employee accidentally moved a pair of socks in a sock drawer, exposing a leather bag full of extremely dried out marijuana. Wifflestrom says that what makes this discovery even more significant was that the satchel of weed also contained a hand written note from Washington to his mother. Do not worry. This is not mine. It’s Josiah Woodblock’s. I told him I would hold it safe for him. Please don’t be mad at me, because again, it’s totally not my weed. “He couldn’t lie about a cherry tree, but he still told his mom he was holding it for a friend,” Dr. Wifflestrom said. Some Americans may be shocked to find out one of the most well-loved and respected founders smoked pot, but Dr. Wifflestrom says that’s just because academics have never quite figured out when to teach students about his drug use. Wifflestrom says, however, that Washington’s passion for the sticky-icky has been known to some, even some surprising places. This discovery is also significant because it marks the first time that actual pot was found that belonged to President Washington, not just paraphernalia. In 1987, AAHT discovered an old box of items from Washington’s bedroom he shared with his wife Martha. In it were some special items, and a note written by Mrs. Washington, detailing how much fun she’d had the night before “smoking that herb and gettin’ freak nasty” with her husband. Plans are for Washington’s weed stash to be donated to the national archives, and it is presumed that it will one day sit in the Smithsonian.